We were blessed with really good weather that day. 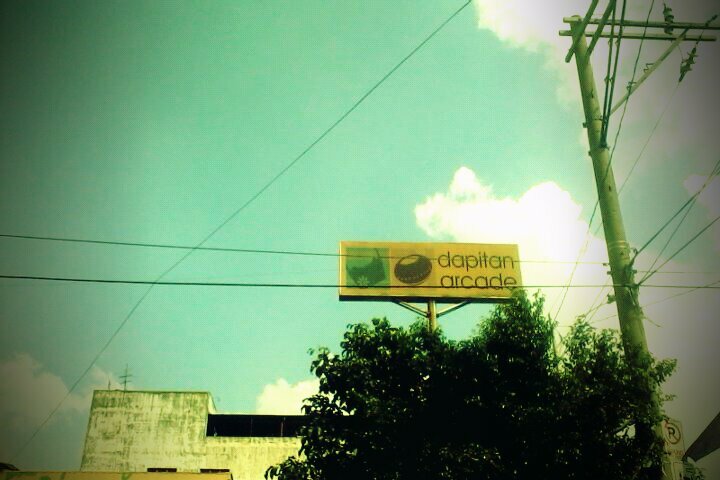 Last Saturday, Tibs and I seized the wonderfully nice weather and trooped over to the Dapitan Arcade in Manila. 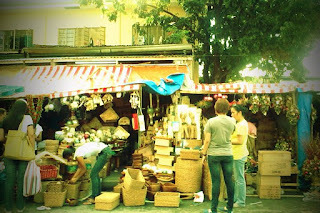 It was only our second time there but as always, the place was a treasure trove for people who love local handicrafts and ceramic wares. 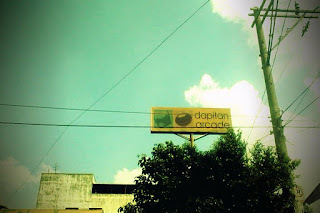 If I live close to that place, I'd probably be there during weekends scouring for some home decors. 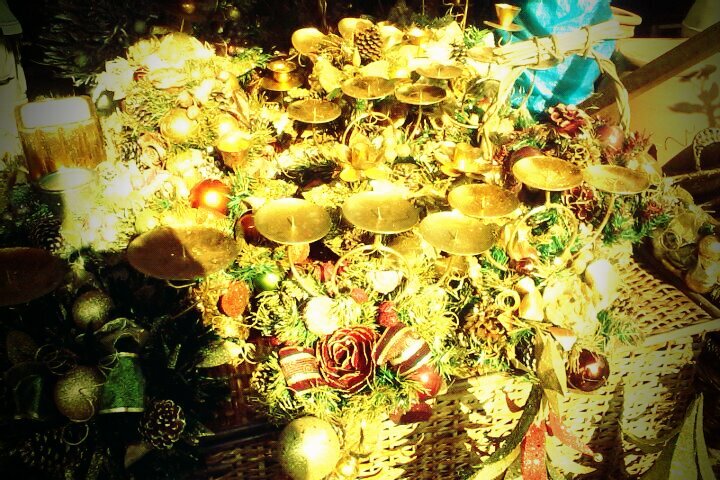 At this time of the year, Dapitan Arcade mostly showcases holiday items. And we were there for that same purpose. To get ourselves some dainty but cheap items to spruce up and make our tiny home more festive. We armed ourselves with a small budget of P2000 and off we went hunting for items on our list. 1. a 5 to 7-ft slim tree frame - CHECK! We were able to score a 7-ft frame for just P500. 3. a christmas wreath to hang on our front door - CHECK! And it only cost us P100. It was made of dried grass and some recycled styro balls and ribbons. 4. extra decors to hang on our tree (since I'm intending to make the ornaments myself this year) - CHECK! 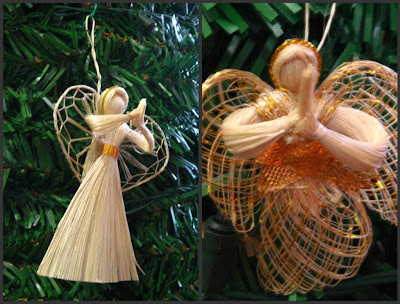 We bought tiny angels made of sinamay. I bought an extra pack to give to my American boss as well. Total of which was only P360. 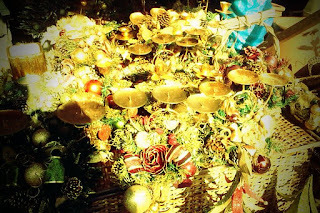 We were able to add 2 dozens of tiny capiz star ornaments (that I have to take photos of) for P220 and a set of horsies made of dried grass for the little girl for P150. Total money spent was only P1810. I had to haggle for some of the items we bought and yes, the tinderos and tinderas were generous to give me some of the discounts I asked. Galing ano? If you're looking for Christmas gift items, I'd really suggest you visit this place. Your Christmas budget will definitely go a long way here and what's great is it's not as crowded as Divisoria or Baclaran. Sadly I wasn't able to take photos of most of the items we bought but here's a glimpse of our tree (Tibs already wrapped the garland around it), of the horseys that really won the little girl's heart and the tiny li'l angels. This trip was so worth it. And I'm planning to go back there for last minute Christmas gift shopping (I'm really a crammer, you see). These horseys immediately won Maia's heart. ikaw ba gumawa ng star niyo? ilavet! pagaya ha! sis - sure, feel free to make gaya wehe. kaso lang the star came with the tree. di keri ng talent ko gumawa kahit ganyan ka-simple na star. wehehe.